Ecosure is the leader in flying-fox dispersal and management having been heavily involved in monitoring, research, education and planning for more than 20 years. Our in-depth understanding of these native animals and our tailored approach to mitigating impacts to the community is highly regarded with 19 government clients in Queensland and New South Wales, along with numerous private and airport clients around Australia. 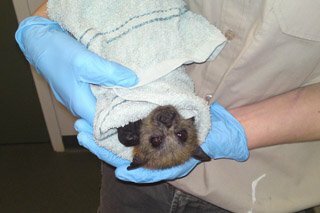 Ecosure’s expertise has been called upon to contribute to flying-fox policy at both the state and federal level. 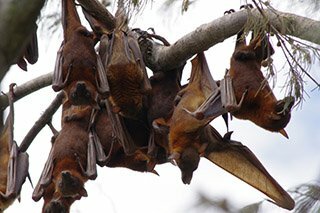 Ecosure undertakes site-specific risk assessments for every project to manage community impacts in accordance with the Code of Practice – Ecologically sustainable management of flying-fox roosts . Our tailored plans create a framework for managing health, economic and amenity issues associated with flying-fox roosts. We the most experienced company in Australia in flying-fox dispersal and ensue that all dispersal’s meet state and commonwealth legislative requirements. We strongly support education to reduce fears and correct community misconceptions. 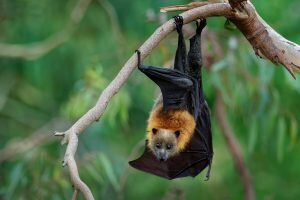 Ecosure has worked with councils to develop a range of educational materials to improve understanding of flying-fox ecology, including facts and statistics on the actual health risks. Ecosure offers training and builds the capacity of local governments so they can better manage flying-fox conflict in their region. To read more about Ecosure’s Flying-fox Management services download our Capability Statement.